Many people often ask us questions like – “is he or she my soul mate or twin flame, and is this the one?” We get a ton of calls about love and relationships, and we love it. The tricky part of it all is that we, as psychics, have to feel deep inside the spirit.  We would love to help you find out if you are in fact with your soul mate or twin flame. We believe that you can have a lot of soul mates or a few but just one twin flame. There are many signs to notice if you are with a soul mate. For example, your connection is so strong that it tends to be co-dependent and dysfunctional. You become your partner's thoughts, eating habits, bad habits and become demotivated. You start to realize that you are acting out one of your parent’s relationship and getting to know your own father or mother. Then you realize you have to disconnect because the relationship is not growing. The Twin flame however is a different story. You can still feel the strong connection and emotionally empathize with the one. You may not get together right away with this person, or you took space from them. It all depends on their circumstances. Some get together right away, some have to wait because their Twin is hurting themselves. Some do not know who their twin is because they are married to someone else or involved with someone else. The tricky part of the whole thing is that you cannot touch anything tangible with the one. You have to really live your life, focus on giving love back to yourself and learn from your experiences. Patience is not on your best interest list because your too busy morphing into the twin's impatience. Your twin is experiencing a dark phase; meanwhile you’re trying to stay afloat holding the light to the end of the tunnel. There are no rules to relationships so if one story is different; it is because of their paths. Your path is not the same as everyone else. A lot of people do not realize that they are going parallel with their twin but the experiences may have been in different phases of their lives. The connection is so strong that one minute you could be happy, or think you are, and the moment you think about the twin; you become sad and feel their emotions. For all you know they could be in China. We have just launched our brand new website at www.ESPsychics.com and we also speak a lot about the question; “is he or she my soul mate or twin flame?” at our brand new radio show at http://heyzradio.com/shows/extra-sensory-people.  Our psychics are truly gifted and tested for their accuracy, ethics, and loving personalities. We hope you all have a beautiful day and thank you for stopping by! If you cannot afford a reading, we offer free readings by our ESPsychic radio hosts every Thursday at 6-8pm est. Like our fanpage to get details on calling in. We also have well known personalities who are intuitive as guests. Thankful to have met you! If it wasn't for a few soulmates to cross my path I wouldn't be who I am today! They meant the world but our paths outgrew each other. They gave me more than a mirror could show me in my reflection. I met the LOVE of my life and that was getting to know ME, MYSELF and I.
I now prepare to wait for my twin flame no matter how long it takes in this life time or the next. I know so many people who are confused about soulmates and twin flames. I'm sure alot of people can identify with this!